I am excited about my latest comic coming out. It is about the cuts to social assistance that the Liberal government have put in place. You can see the whole thing at the OCAP website. 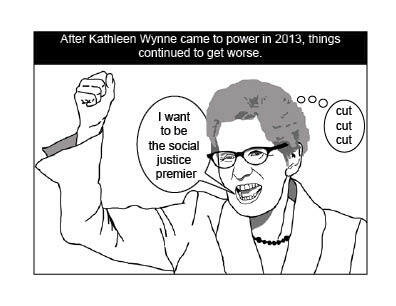 This entry was posted in Austerity, social assistance and tagged invisible austerity, Kathleen Wynne, ODSP, ontario works, social assistance. Bookmark the permalink.